Those guests who choose to spend their holidays in Croatia, often choose Omis. That kind of popularity Omis owes to the beautiful beaches stretching along the riviera, from Duce to Pisak and to the rich cultural heritage. 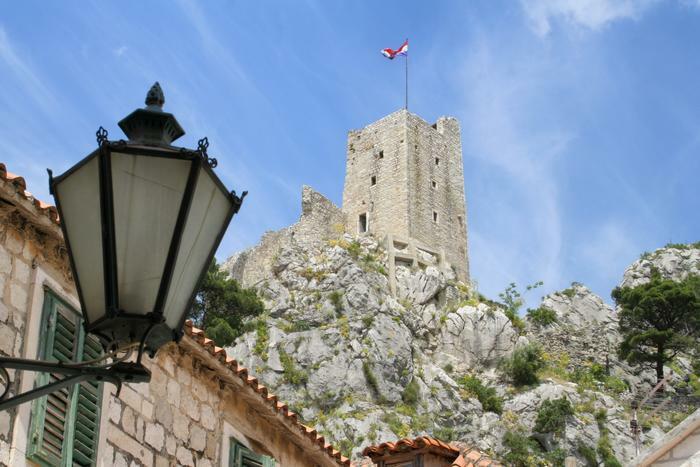 Mirabella fortress stands out among the significant monuments of Omis, and it represents an important part of Croatian cultural heritage witnessing turbulent past times. The fortress played a significant defensive part in medieval times. Omis pirates used it to guard the entire sea passage which was under their control. Today, visitors can view the remains of the fortification walls of this building, and profane and sacral buildings constructed within the fortified area until19th ct. Most visitors find it attractive because of the wonderful view from its top, and which includes entire Omis riviera and island of Brac.